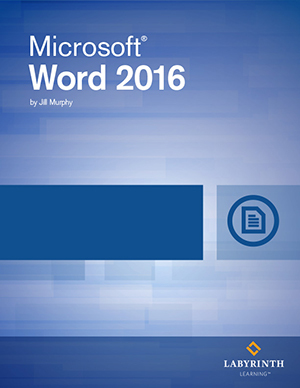 Microsoft Word 2016 - Level 3: This advanced level course book will enable students to maximize the features and uses of MS Word as they learn about sharing and securing documents, working with macros and integrating Word with Excel, PowerPoint and the Web. Students will be engaged with hands on learning as they apply learned concepts to create relevant, mock work examples. DELIVERY OPTION: This option is for the digital ebook. Does not include printed textbook.